Terms like 4G and LTE have been tossed around with abandon the past year or so. Every carrier is either touting their LTE network, or promising you’ll have it soon. LTE is definitely our future, but it’s not our present. We are on the brink of some really fast data transmission speeds, so let’s get to know our new friend LTE. Is it really the new Standard? More importantly, when will you get it? See also: What is 4G? As our needs for data consumption grew, there was an understanding that we would be reaching a tipping point for data at some point. Around the turn of the millennium, the International Telecommunications Union (or ITU, which governs things like radio frequency and spectrum) commissioned the 3GPP to study what could be done to improve existing networks. A few options presented themselves. First was WiMAX, a next generation technology already in place. WiMAX was good, but it was a network built from the ground-up. Switching to it would be expensive and time consuming for existing carriers utilizing CDMA or GSM. The next option, which was born of the study, was LTE. An LTE network would simply be a redesign of what was currently in place, so the cost was relatively low. As both CDMA and GSM had reached a plateau of sorts regarding data speed transmission, LTE seemed like the clear winner. It was cheaper, used current technologies, and could be implemented rather quickly. In 2004, the decision was made to go with LTE for the future of data transmission. After the normal bureaucratic red-tape associated with such ventures, the very first public LTE networks were available in Oslo and Stockholm December of 2009. The next Spring, the first commercially available phones would go on sale in the US — the Samsung Galaxy Indulge for Metro PCS and HTC Thunderbolt for Verizon. There is a misnomer we should get out of the way: LTE is not 4G. We can look to T-Mobile as an example. They put 4G on everything they can, but make no claim to LTE. The benchmark for 4G is also much higher than what we currently see with LTE. That benchmark of 100Mbit/s is established by the International Telecommunications Union (ITU) in cooperation with the 3GPP. To give a quick idea of how that measures up to what you have now, 1000kbps is equal to 1Mbit/s. If you ran a benchmark test on your phone and did the math, you’d see that the actual 4G standard is about 5-10 times faster than what you probably see now with “LTE”. In being fair, both GSM and CDMA have made some impressive improvements prior to any LTE implementation. As GSM relies on moving parcels of information, the HSPA, or high speed packet access, was the natural progression for them. The difference between GSM and CDMA is that GSM moves packets of information while CDMA allows users to “stream” information. Neither is necessarily better, they just operate differently. The CDMA progression gave us CDMA EV-DO, which like HSPA just sped up the entire process instead of changing anything. Carriers knew they needed a marketing strategy for the system updates, so the ITU agreed to let them market it as 4G. Again, while it doesn’t meet the benchmarks set forth by the ITU and 3GPP, it does represent a huge step forward. Both agencies respect the advancements as significant, so they allowed them to use the moniker. LTE changes the current method of moving data to an internet protocol system. Rather than move small amounts of data, as both CDMA and GSM do, it will move large packets of data and streamline the service. Think of it as taking the speedbumps off the roads in your city so you can zoom around faster. The major benefit to LTE is that in reduces the latency in data transfer. GSM uses technology called time delay duplex (TDD), while CDMA uses code division duplex (CDD). Both are a method of coding information for travel across airwaves. The advent of CDD proved to be faster, but the world operates on GSM technology. As such, GSM was improved to HSPA, or high speed packet access. Like LTE, it moves larger packets of information at a faster rate. Some believe LTE and HSPA are interchangeable terms. This is clearly not the case, as Verizon (the largest CDMA carrier in the US) has the most robust LTE network. While the technology of LTE and HSPA is similar, LTE incorporates digital signal processing (DSP) to better adjudicate the data packet transfer. In a nutshell, LTE is a supercharger for your GSM or CDMA car which is zipping around a speedbump-less city. Now that we know LTE is an upgrade to the current systems in place, we also know it works for both GSM and CDMA. In that respect, everyone is available to use it, and it is widely believed to be a worldwide standard at some point. As LTE is a system upgrade, it’s left up to frequencies and spectrum to carry the day. Frequencies and spectrums are what your device runs on. A true LTE phone will operate on a variety of frequencies. Across the globe, different countries operate on different frequencies. A higher frequency does not denote a better network, either, as a lower frequency is more useful in rural areas. The best way to understand this is to examine countries in Europe. While we here in the US have been fortunate to have exposure to LTE for some time now, Europe is just starting their LTE implementation. LTE typically operates on a frequency spectrum of 700MHz to 2.6GHz. A lower spectrum like the 700MHz will carry a signal over a larger area, thus reaching a larger number of people with less infrastructure change the carrier has to make. Something higher like the 2.6GHz will be much faster, but reach less people. So when someone like Verizon in the US touts how “large” their LTE network is, the lower spectrum is what they’re really talking about. All this talk of frequency and GHz may be a bit confusing, but we’ll break it down fairly simply. Internationally, the ITU governs all spectrum for any type of communication. In the US, it’s the Federal Communications Commission or FCC. There are really huge, boring charts that explain it all.. but that’s not fun to look at. So, we’ll discuss how spectrum sales are accomplished, and more importantly what each definition means. First, the definitions. Frequency is a specific channel, like a radio dial. A radio station operates on a particular frequency, like 103.4. A spectrum is a large block of bands, but also references the entirety of available frequency. If the 700MHz spectrum is from 700-799, a band would be from 700-720. Bands can be any size within a spectrum. So largest to smallest: spectrum, bands, frequency. All spectrum sales operate as an auction to maximize profit. When the ITU decides to auction off spectrum, they release a chunk like the 700MHz we discussed earlier. If that goes all the way from 700-799MHz, a carriers best chance for a better network is to own more bands (or bandwidth) in that spectrum. If you want a big, fat network, you gotta have a bigger piece of the pie. While spectrum auctions are the common way to improve a network, they aren’t the only way. Many mergers between carriers have to do with spectrum. If a carrier has a good amount of bandwidth, purchasing that carrier allows you to gain frequency and subscribers. Looking at the European situation again, keeping an eye on the auction situation is important. As an emerging LTE adopter, it’s important to understand what’s going on in Europe. More and more LTE is becoming available to users daily, and those lower frequencies of spectrum are becoming an increasingly popular option for carriers. Many countries in Europe are still in the process of testing LTE out, so continent-wide adoption is yet to take place. The picture above highlights where LTE is available, as well as where it will be soon. In the interest of being thorough, the chart below are the major European markets that have LTE currently, as well as the carrier it’s available through. How does LTE affect you? LTE is great, right? Fast data speeds are going to make life really convenient, and probably make us more productive. LTE isn’t a slam dunk, though. There are a few things to keep in mind when considering this LTE transition. First, think about your wallet. 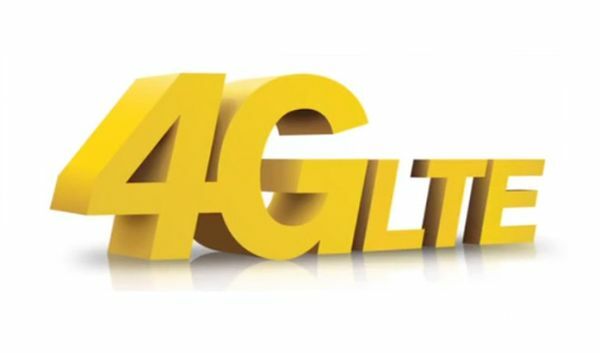 As we discussed earlier, we don’t technically have true 4G, but we’re paying for it. Again, pointing to Verizon, they really do have the best network and the most LTE coverage… but you’re going to pay for it. Upgrading all those towers and such isn’t free, and you’re really the carriers only means of revenue. So, if you want more speed, you’ll have to spend a little more money to get it. Second, consider your needs. Our phones are pretty robust and will continue to improve, but LTE is taxing. Faster data invariably means more data, as people will rely on their mobile devices more and more. So, while really fast data speed is fun, its also affecting things like your battery. We don’t have much LTE coverage, and battery life is already an issue. 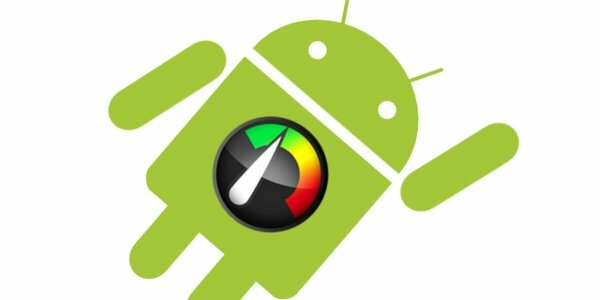 Battery life is always a hot-button issue with mobile device users, and if you’re asking the phone to do more, the battery life will suffer. If you’re going to be on LTE quite a bit and really need your device to last, consider a device with a larger battery. Until we see major developments with battery technology, this will be an issue. Your future is decided: LTE is where we are moving. LTE is not, however, where we currently reside. Every carrier is moving toward LTE as our data needs increase. Even though Verizon here in the US brags about their LTE network, a closer look will put things into perspective a bit. A favorite source of mine, Open Signal Map, shows all manner of coverage in the world’s major markets. A closer look at the LTE situation in Chicago shows the signal to be pretty strong centrally, but non-existent outside the confines of the windy city. It’s not currently important to make LTE a priority. As we discussed previously, 4G is not LTE. Not only do you probably not have wide access to LTE, many of the phones you would consider owning don’t either. Many of us pay for an LTE phone that doesn’t have access to the feature. Every day, a new market is given LTE and the world rejoices. I’m happy Louisville, Kentucky has LTE access, but my town doesn’t. I’m paying for it, because my phone is an LTE phone, but I don’t have any reason to be in Louisville and my market is pretty far down the LTE rollout list. Before you buy an LTE enabled phone, ask your carrier for concrete proof of when your market will get LTE if it doesn’t already. Worldwide acceptance of LTE has happened, but implementation will take time. About the time we get there, something new will be in the wings to take it’s place. 5G is already a concept being worked on, so get ready to hear all about it in 5 years time. As Europe continues to rollout LTE, the rest of the world will be implementing. LTE is the worldwide standard we need, but is it the one we hoped for? Related: What is LTE Advanced?